Hey guys! I'm really excited to show you two of Revlon's newest scented polishes from their Parfumerie collection, so let's get to it! 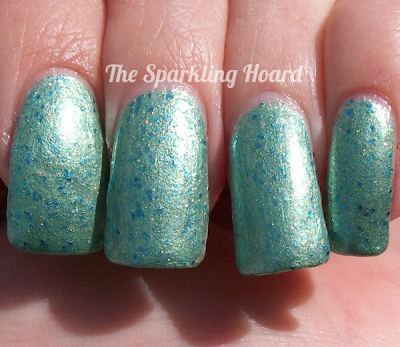 Wintermint is Revlon's attempt at duping Deborah Lippman Mermaid's Dream. It's a frosty mint with gold shimmer and bright blue glitter. The formula was okay, though you do need to apply it carefully to avoid brush strokes. It smells like toothpaste, and the scent comes through just fine even if you use top coat! I used two coats. Dry time was a little slow. 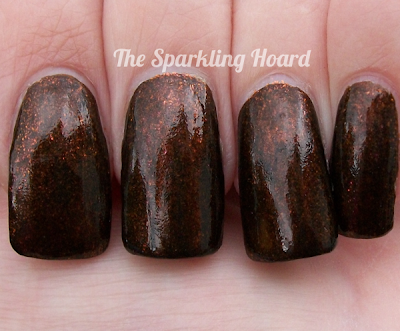 Autumn Spice is a very pretty and unusual polish. It looks like it's just a brown shimmer, but it has sort of a sophisticated and vampy look to it. In some lighting (like outdoors, where these photos were taken), the finish appeared irregular, like freshly stained wood. The formula was fine, and if you carefully apply a thicker coat, it can be a one-coater! It smells like, well, autumn spices. Mostly cinnamon, though as time passes, the cinnamon becomes more subtle and a mellow vanilla note comes through. Normally, I don't like cinnamon scents, but I liked this one! I used one coat. Dry time was average. I've never really played with scented polish before, so this was fun! I'm quite sensitive (and sometimes terribly allergic) to most perfumes, but these scents didn't bother me at all. 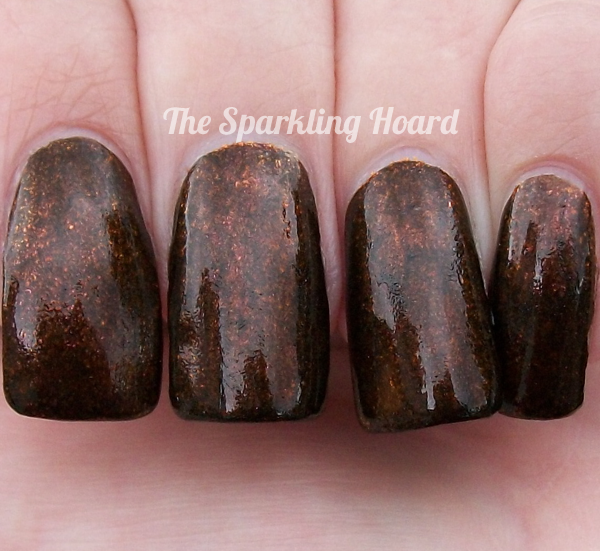 The polishes in the Parfumerie collection cost around $4.79 for 11.7 mL. So far, people are only seeing these at Bed Bath & Beyond and Harmon Face Values. There are 15 polishes in the collection, divided among three categories (Fruits & Florals, Sweets & Spices, and Freshes). The name of the polish indicates the scent of the polish (which only emerges after the polish has dried). To stay up-to-date on Revlon news, Like the brand's Facebook page. These two were among my favorites! I really think Revlon is doing such a good job of stepping up their nail polish game. I did buy all 19 of them (eep! 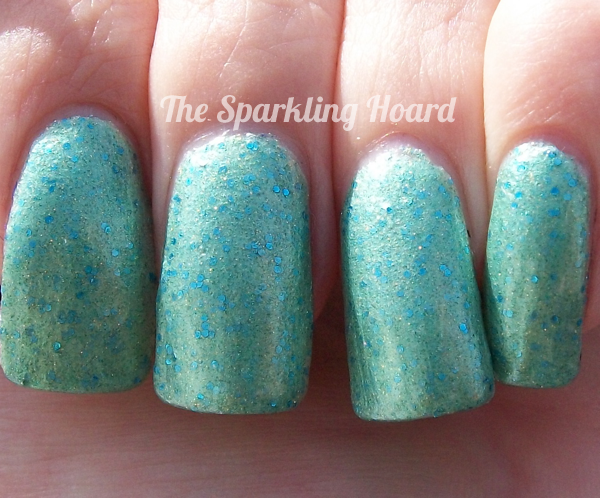 nail polish addict) and I've been swatching them for the blog. I'd love for you to stop by and let me know what you think!